One of the world’s first cultivated grains, hordeum, or wild barley grass, grew from an agricultural staple to ultimately reach its pinnacle in whiskey making. 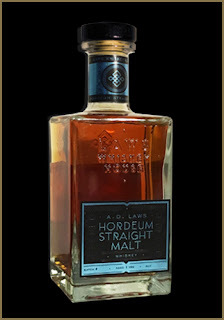 Every bottle of A.D. Laws Hordeum Straight Barley Whiskey is a nod to this ancestral grain and its singularity. 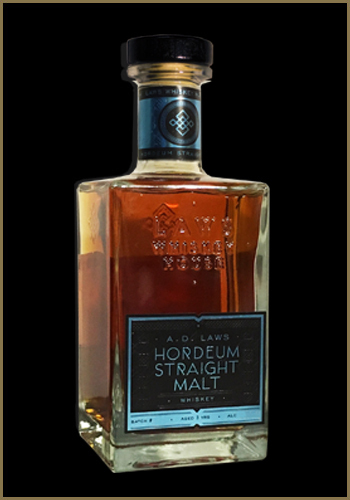 Our atypical on-grain, sour mash style, coupled with Colorado mountain barley, imparts a unique character to this whiskey. This grain forward, single malt whiskey showcases the native terroir of Colorado. Tasting Notes: Opens with bright apple blossom and honey on the nose with notes of toasted hazelnuts. Black tea and green apple on the front of the palate, changing to cinnamon sugar cookies and malted nuts. Finishing with seagrass and sweet tobacco.